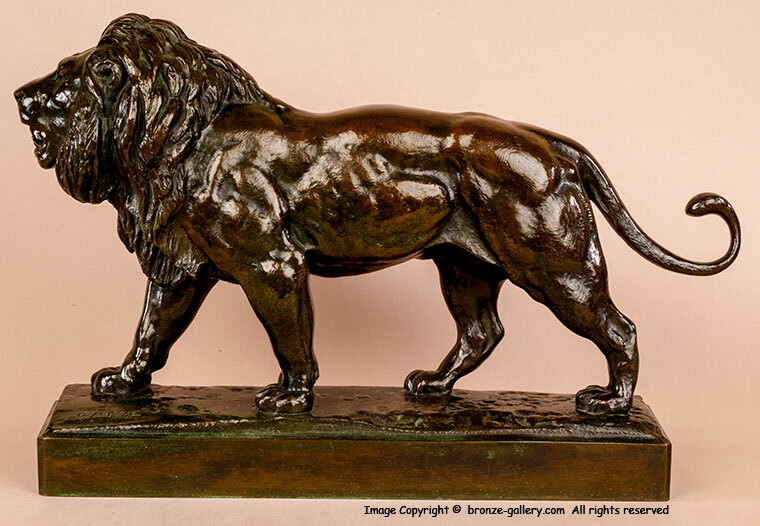 Barye is best known for his bronzes of the big cats and the Striding Lion is one of his best Lions. The muscle structure of this powerful beast is sculpted in such perfect detail that you can see the muscles ripple as he walks along. The Lion's mane is shaggy and well detailed and his mouth is open showing his teeth as he roars. This is a late model done in the last years before Barye died. It is estimated that there are very few casts of this model made. 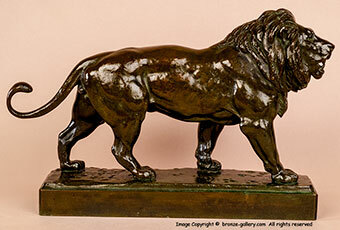 It is a fine late 19th century cast with a rich brown with a little green patina. 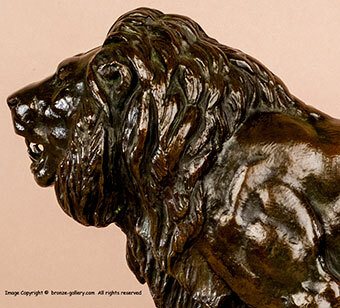 This rare Barye Lion would be a fine addition to any collection.